MTA China was established in 2014 in order to pursue all opportunities offered by the global automotive market and particularly by China market where Local and European OEMs have established large plants. 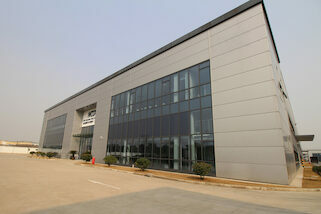 The site is located in the Jinshan Industry Zone, Shanghai and it occupies an extensive space covering 12,000 m². To support the steady production increase, the site will also be equipped with a plastic molding department by the end of 2019, making the plant more independent and ready to meet the needs of local car manufacturers. It is certified according to IATF 16949, ISO 45001 and ISO 14001 for environmental certification.